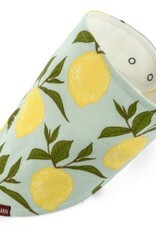 With the Milkbarn Kerchief Bib in Lemon, the cute bandit has arrived. 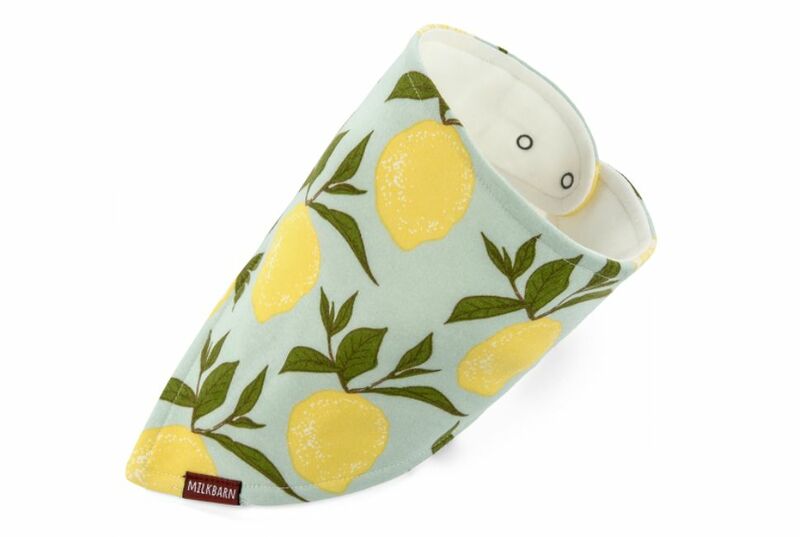 For all the burps, hiccups, dribbles, and drools your little one has to offer up, this bib will pick up the slack and handle all the yucks! Made with three layers of soft, 100% organic cotton, the item features a snap closure to secure it. Milkbarn is a mother-daughter duo originating north of San Francisco, now in Tennessee. Stacy Phillips began stitching bibs at her kitchen table back in 2006, her seven-month old on one knee, her handy-work draped over the other. She wanted more for her son than the poorly constructed mass-market garments and accessories then available. With a mama’s love, she was inspired to build Milkbarn to address the scarcity of high-quality items for baby, toddler, and kiddo without compromising on fun textiles. Care. Curiosity. Creativity. And love. That’s what Milkbarn is all about.